Ecumenical examination of immigration issues drawn from engaging, first-person narratives. A group of bishops (Catholic, Episcopal, Lutheran, and United Methodist), all based along the US-Mexico border, found common ground to jointly address some key immigration issues, especially those being played out in the state of Arizona. The bishops worked together on behalf of local immigrant populations to address theological and pastoral concernsand prayed for those whose lives were being directly affected. This book grows out of their shared work and the relationships that developed among them. 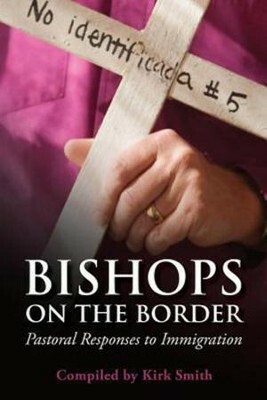 I'm the author/artist and I want to review Bishops on the Border: Pastoral Responses on Immigration.